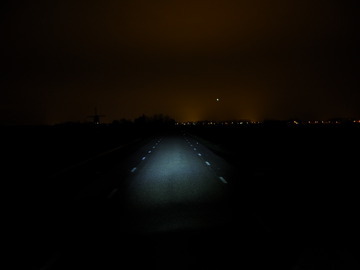 This page is meant to give an overview of all pictures of light beams from the lamps I tested, without any review text, only a description of the conditions under which pictures were made, so you can simply compare the beams from lamps. For the current rules I use to make beamshots (although they are not set in stone yet, so I deviate a bit here and there to try out settings), see Camera settings, camera height/position, lamp height, roads used, and markers for beamshots. 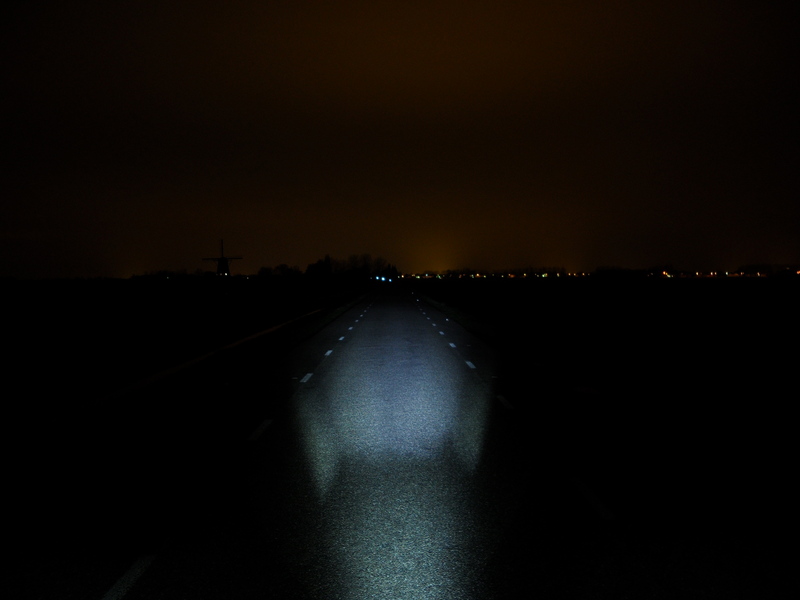 There are sometimes colour differences of beamshots of the same lamp, this is caused by using auto white balance and surrounding light (some nights are a bit brighter, some even have a reddish sky and are not fully dark as you can see in the pictures). On mtb-news.de auto-white balance is used as 'the eye does a better job anyway', which is true, but perhaps another setting is preferable. 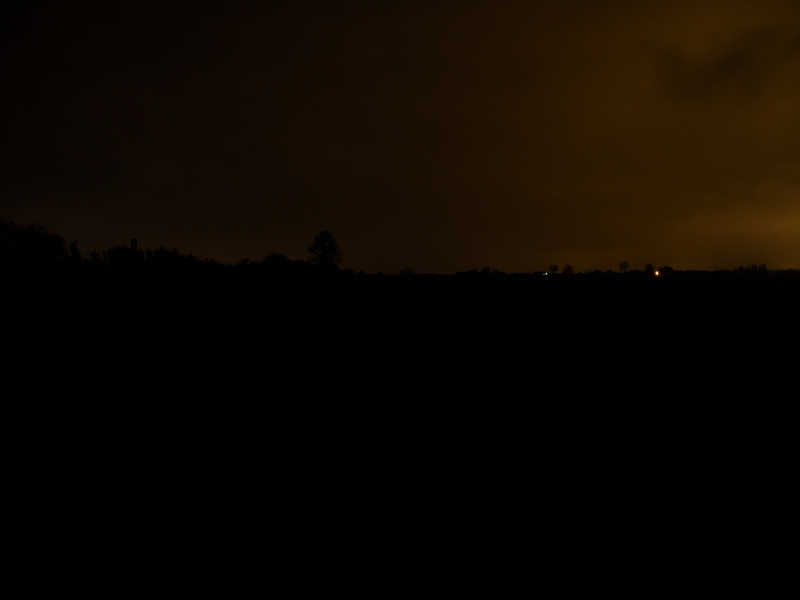 I can't do that with my current camera (ST70) though, which only allows auto-WB with long exposure night-shots. 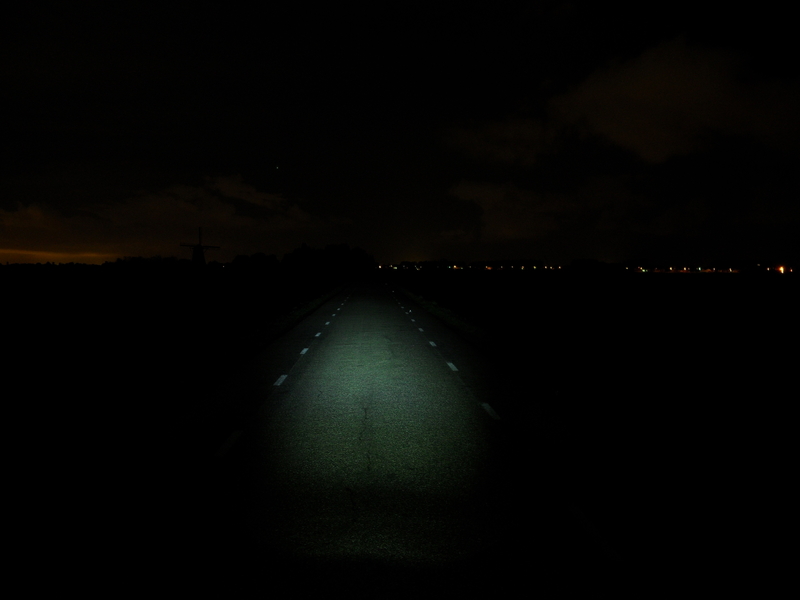 I will check/remake images with a new camera with full manual controls. 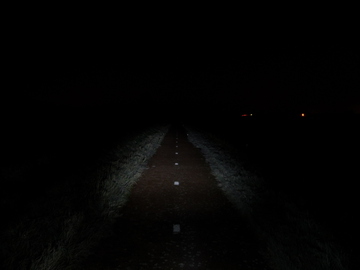 Not all beamshots are on this page yet, and not all beamshots from this page are on the review pages of the lamps. 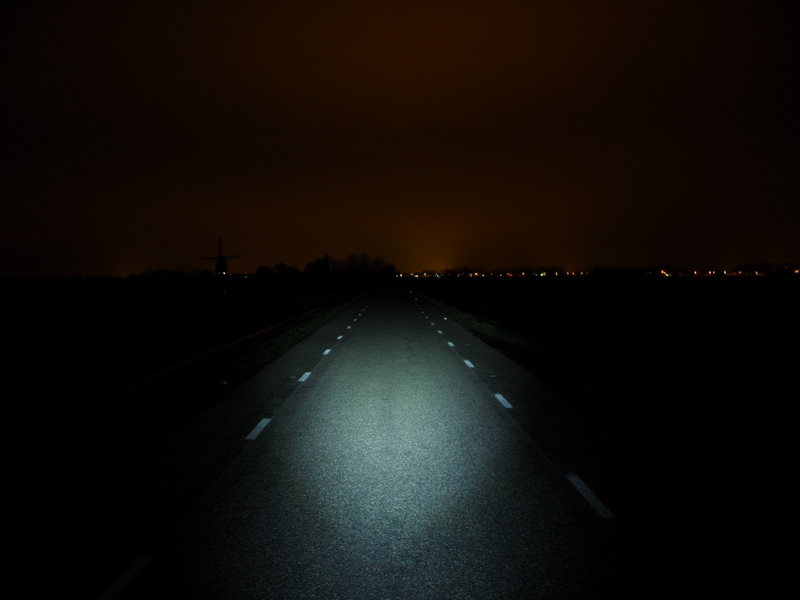 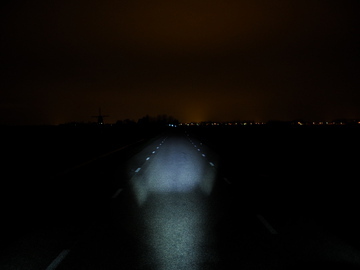 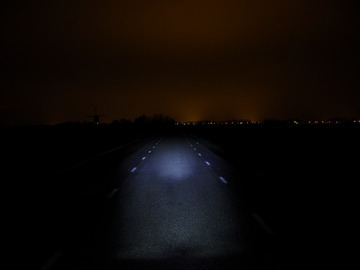 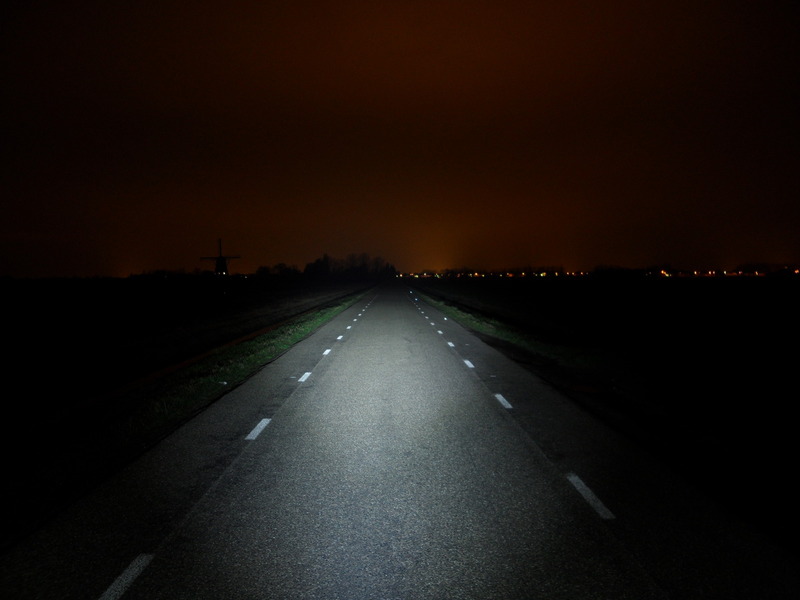 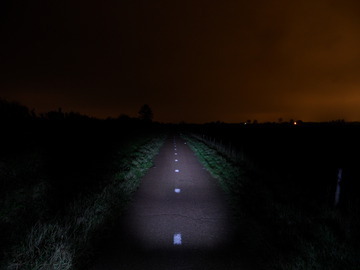 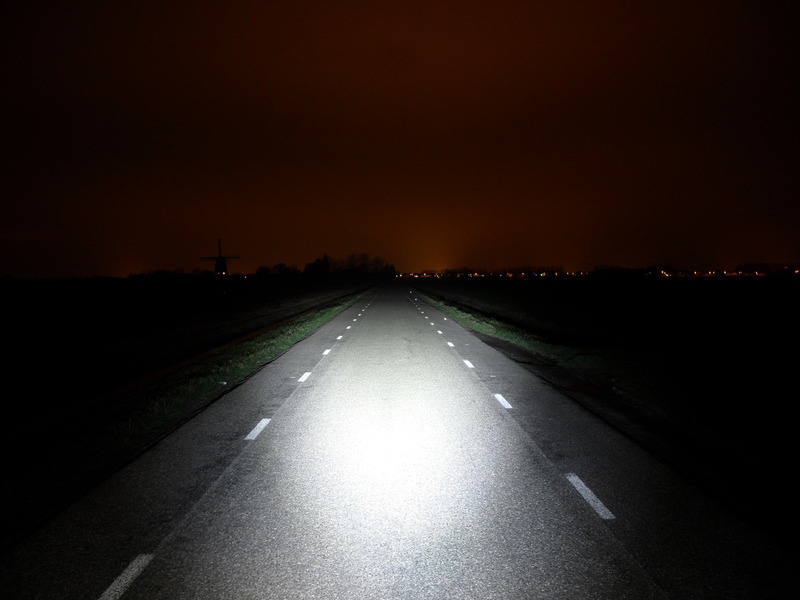 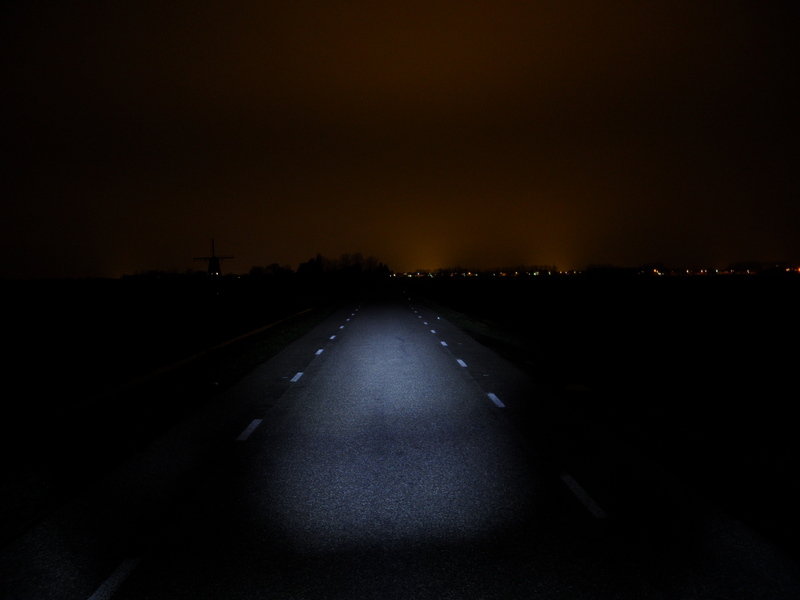 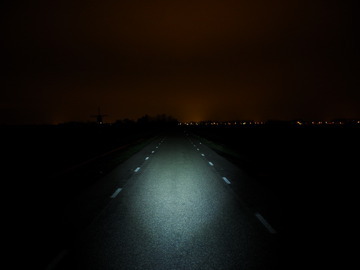 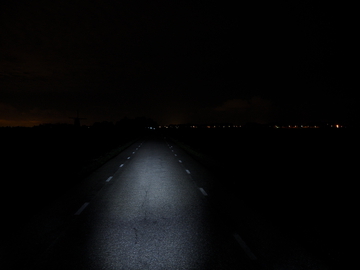 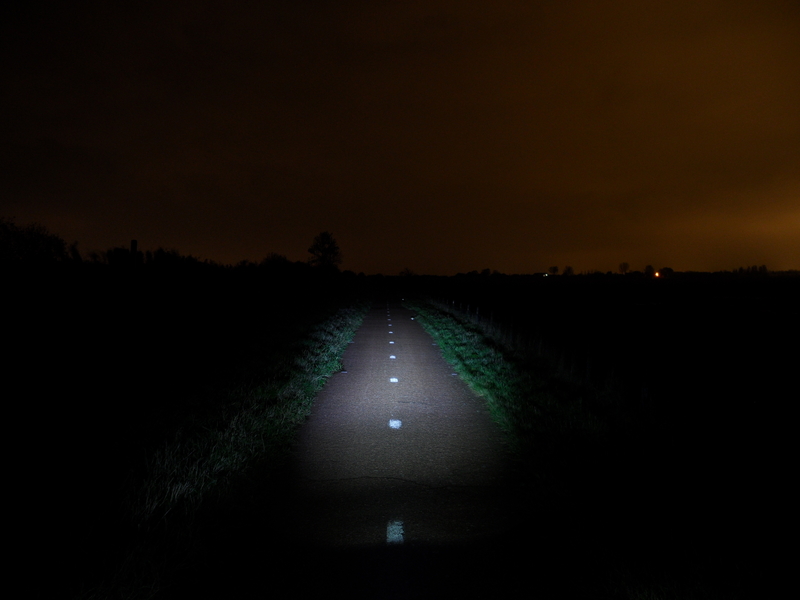 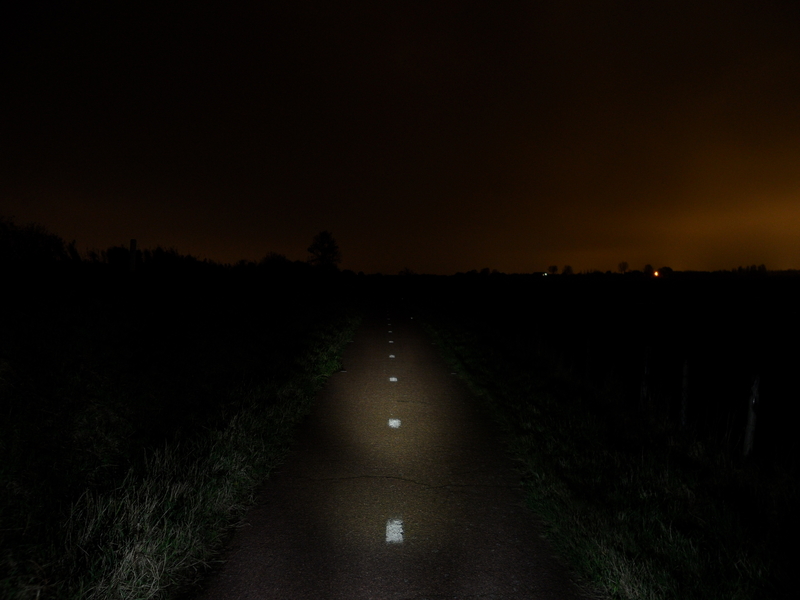 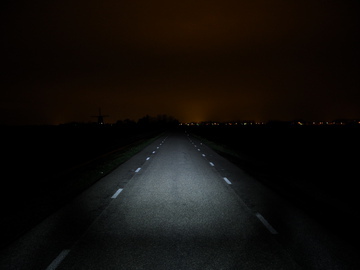 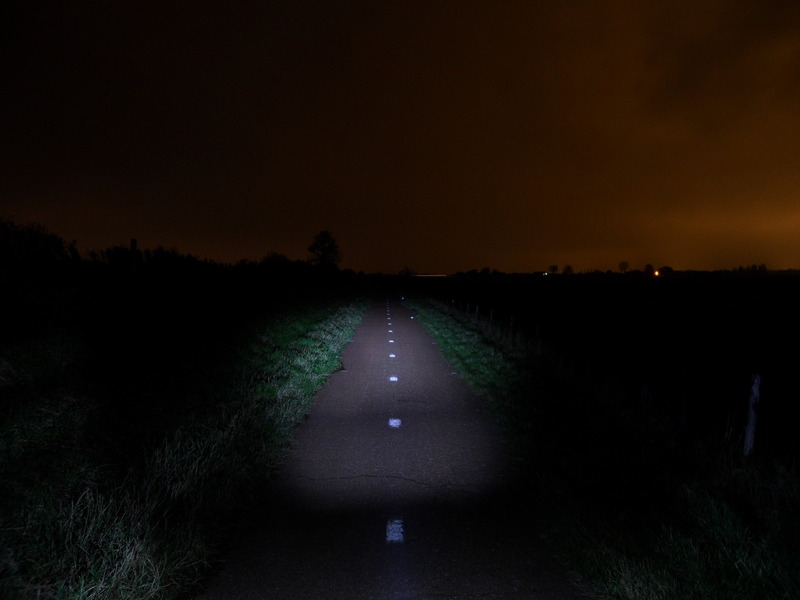 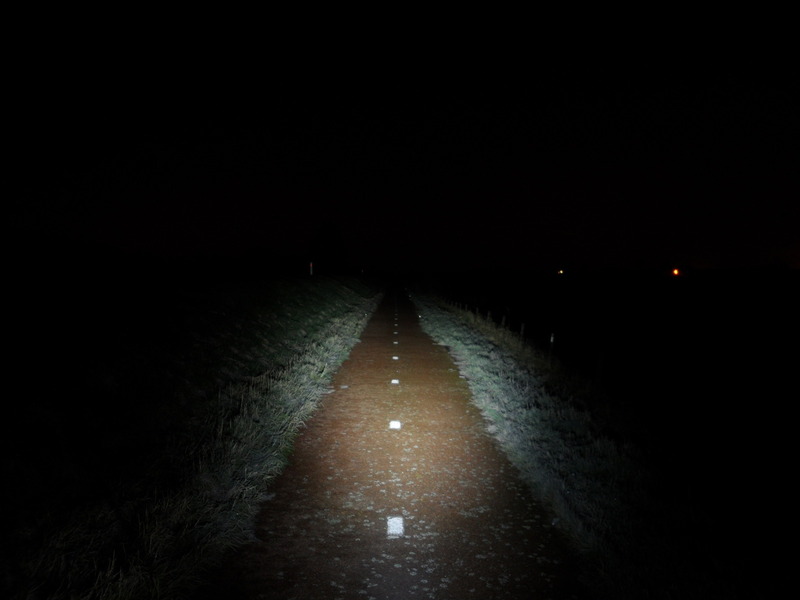 The old beamshots of the Philips LED bike light (taken with low camera height of 1.15m) will not be added to this page. 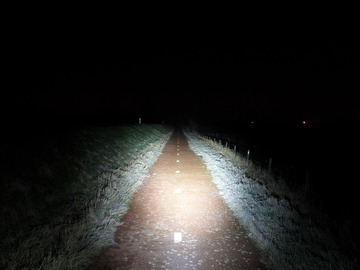 To come: Pictures of the B&M IQ Cyo RT at 1.05m, Lupine Betty 2011 in other settings (more green/trees close to the side of the road, only at 1.05m lamp height) along with the Philips LBL, Lumotec oval senso plus (original halogen), and an old Soubitez halogen lamp. For all pictures, camera settings: F3.5, ISO 80, 4s, Camera: Samsung ST70. Thumbnails link to 2M pixel images (1600x1200) and the original size images are also available via separate links. Beamshots on road 2: Camera height: ca. 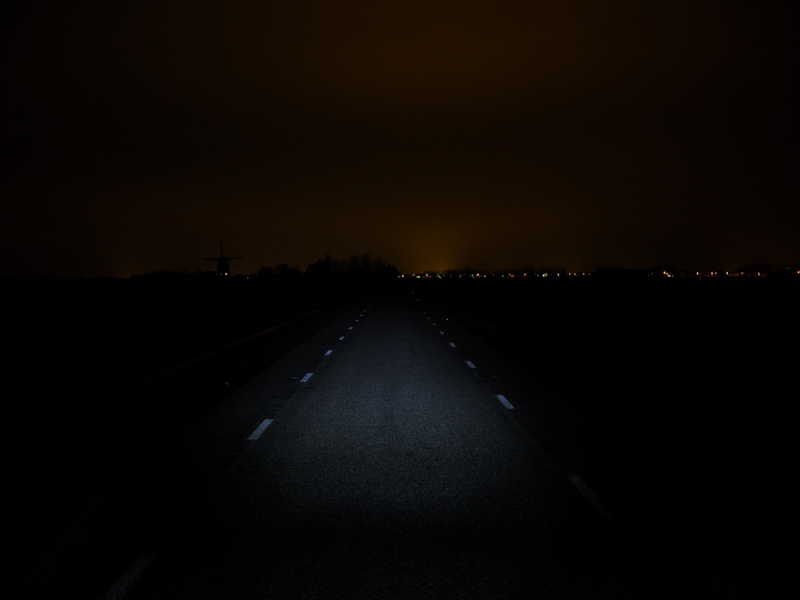 1.80 m, camera aim: Horizon, position: 0.60m behind the lamp. 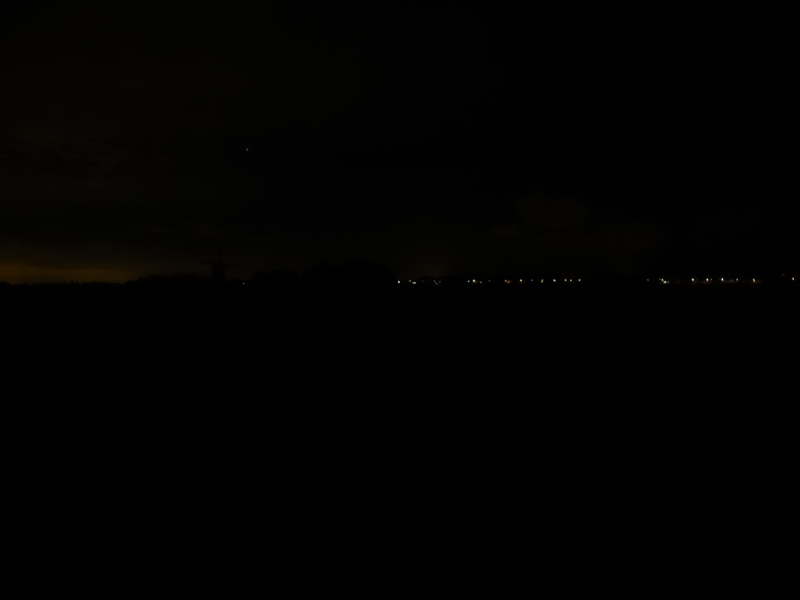 This will be remade as it looks worse than it should, see the page on camera settings as to why. 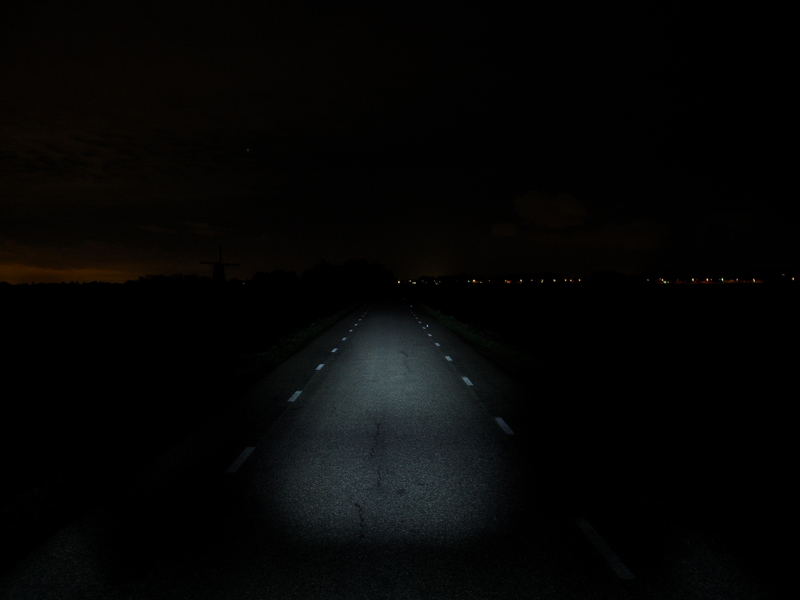 Beamshots on road 3: Camera height: ca. 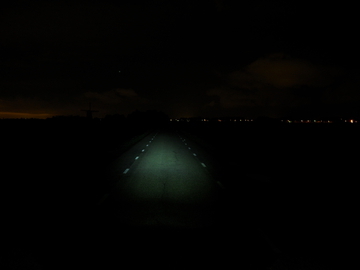 1.55 m, camera aim: 2nd marker at 50m, position: 0.60m behind the lamp. 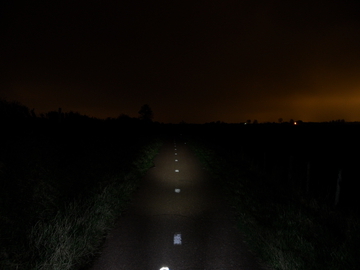 There are some small white sticks (not retro-reflecting) on the ground at 10 m and 15 m distance on the left and right side of the road. It was freezing, fairly strong wind, moisture from the previous rainy days was frozen on the gras and some parts of the surface. Beamshots on road 3: Camera height: ca. 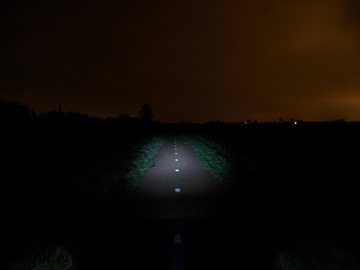 1.65 m, camera aim: 2nd marker at 50m, position: 0.40m behind the lamp. 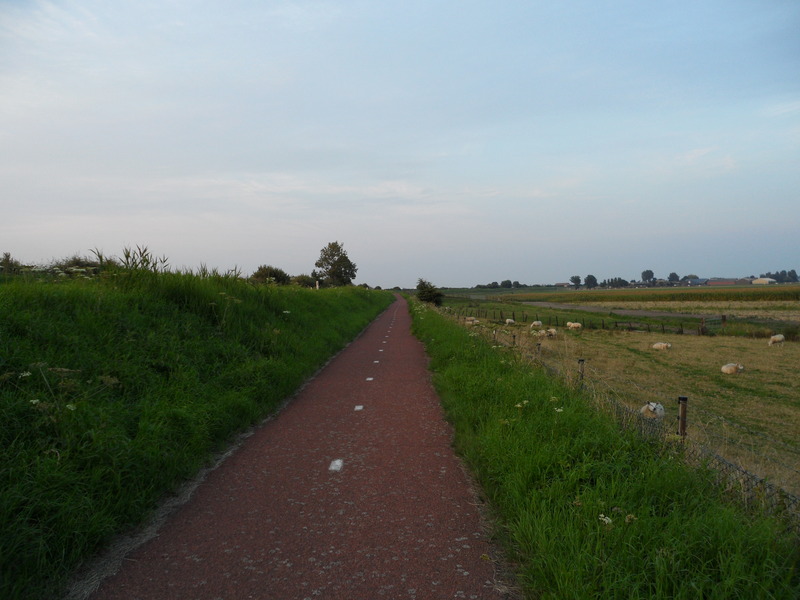 There are some small white sticks (not retro-reflecting) on the ground at 10 m and 15 m distance on the left and right side of the road.